Adventures in fruit: Intergalactic planetary! 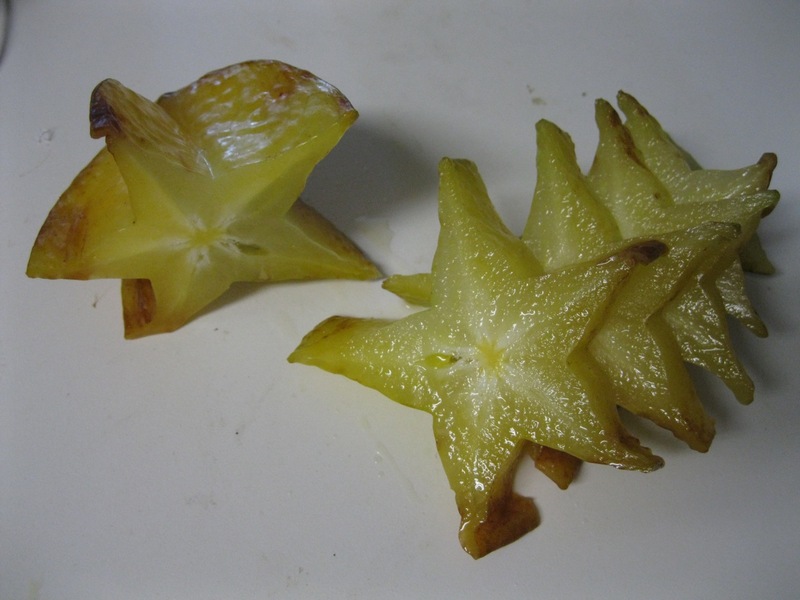 This is something many of you may be familiar with – starfruit. It’s about the flavor of an apple with a rubbery outer skin and the texture of pear… maybe? 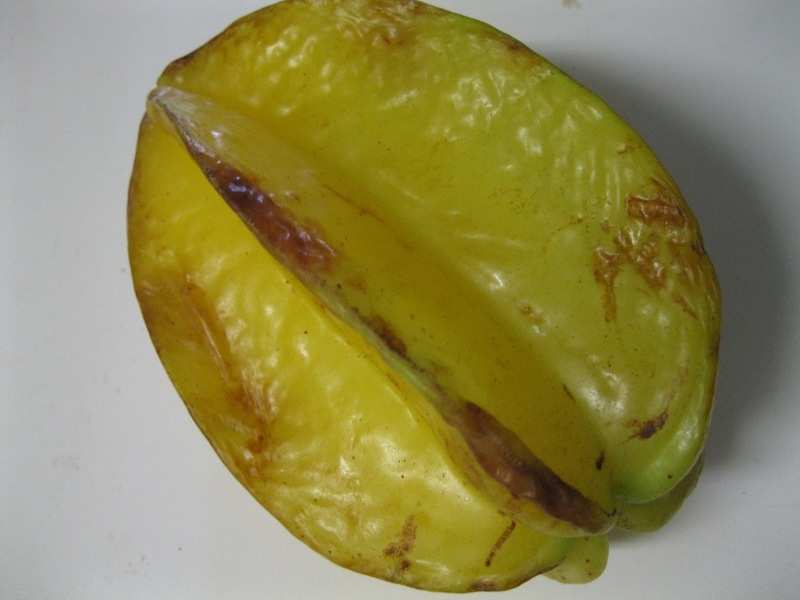 Anyways, this striking fruit is better known for it’s shape than it’s flavor and makes awesome vegan gluten-free, soy-free decorations for cakes and pies. If you see it, I hope you’ll give it a try.